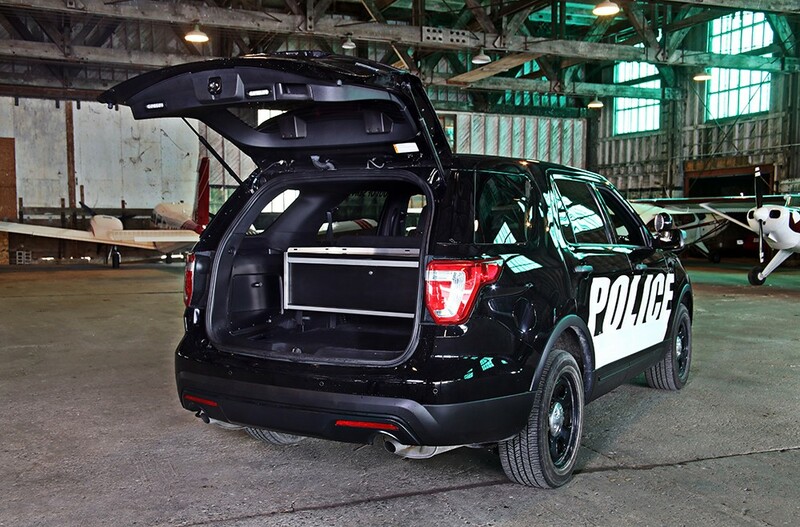 With the new Pursuit Series, law enforcement agencies no longer have to choose between affordability and quality — they can have both. 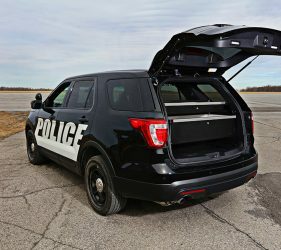 (Schaumburg, Illinois) – OPS Public Safety today announced the launch of its Pursuit Series, a growing line of affordable interior storage systems for the Chevy Tahoe and Ford Police Interceptor Utility. 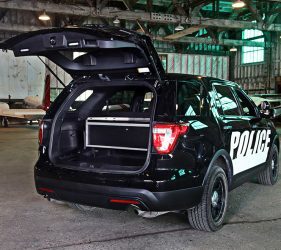 Aimed at law enforcement agencies needing secure, user-friendly storage solutions for weapons and gear without breaking the bank, the series includes three different modular units, and more are on the way. 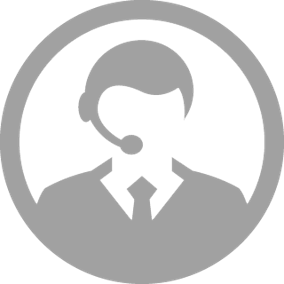 Each provides significant cost savings over the company’s premium line of products. 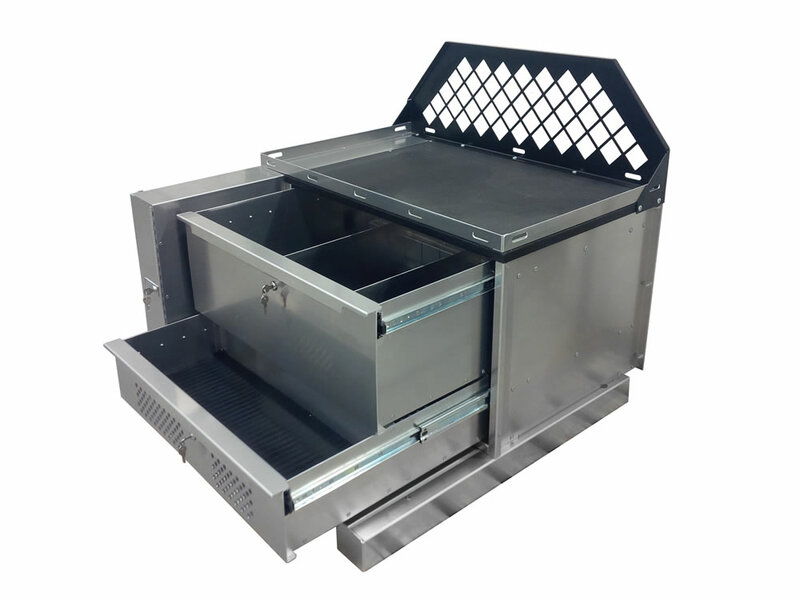 The three units available now within the Pursuit Series are the single storage drawer, the weapons cabinet and the weapons drawer. 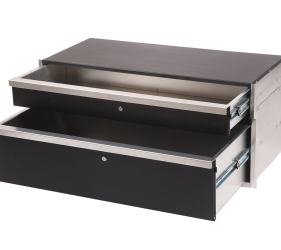 Like the company’s other storage systems, these are modular units, meaning the weapons drawer and weapons cabinet can easily be exchanged on top of the single storage drawer using an easy four-bolt installation system. 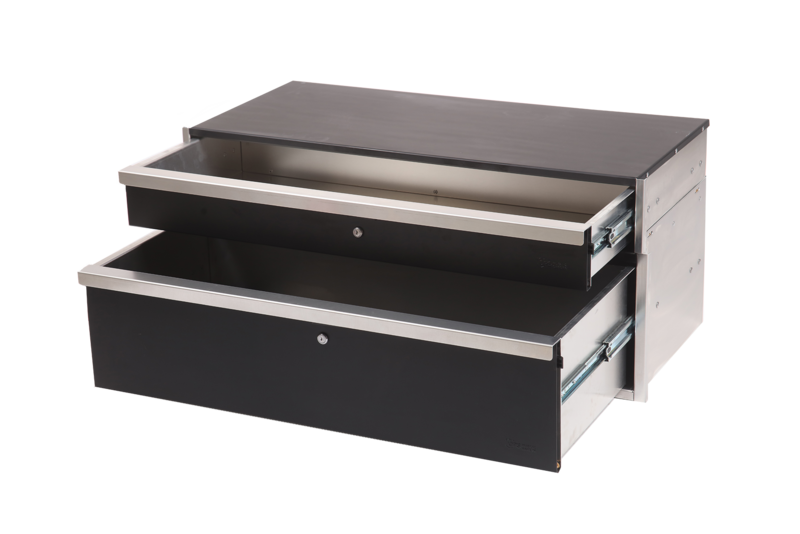 Also, like OPS Public Safety’s premium systems, the drawers come with a latch that only requires one hand to open, while the cabinet uses heavy-duty hydraulic gas shocks to keep the lid securely open and closed. 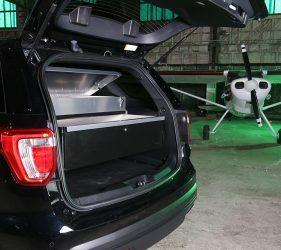 Built with aluminum and finished with black powder coating, all three units have 200-pound-capacity slides, more interior space than the products of the company’s competitors, stainless industrial key locks, and raised mounting brackets to give quick access to the spare tire. 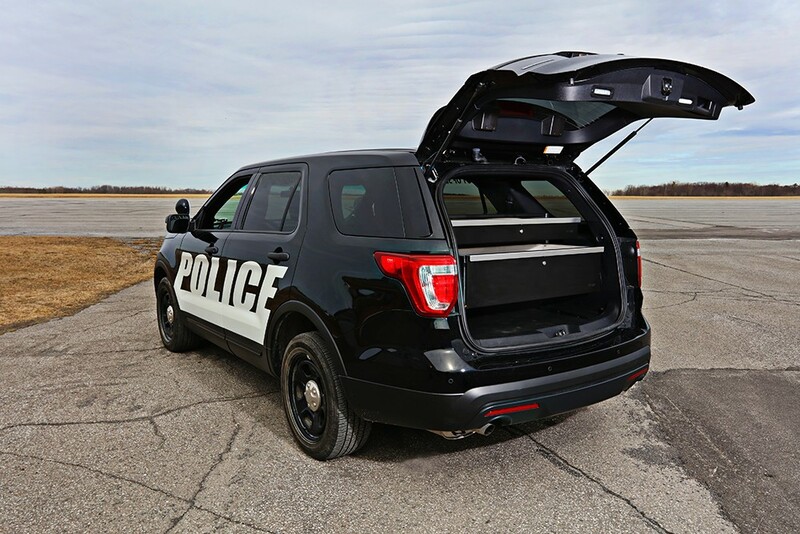 OPS Public Safety manufactures weapon and gear storage systems for law enforcement and public safety vehicles. 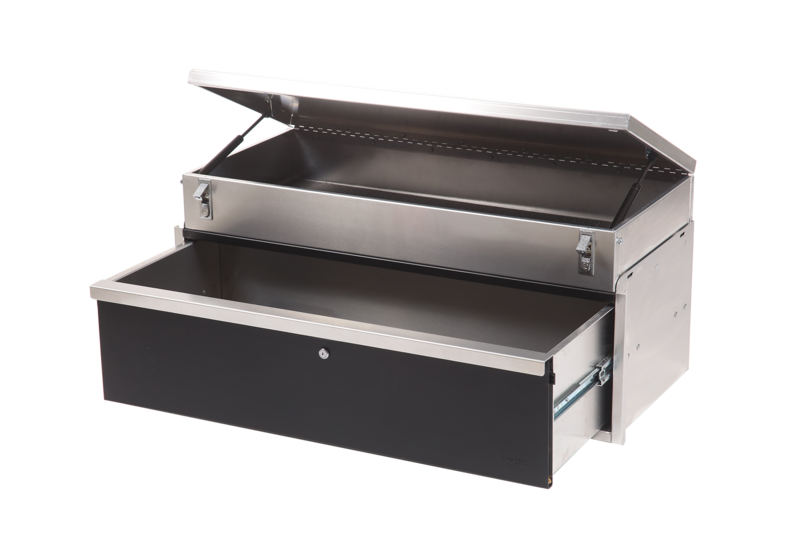 Founded in Kingston, Ontario, Canada in 2006, the family business quickly grew into the US market and opened a second production facility in Schaumburg, Illinois in 2013. 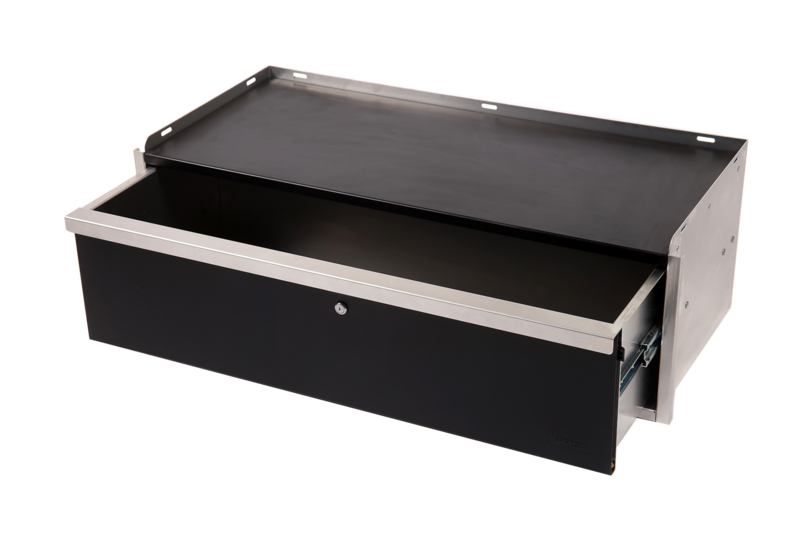 Today it delivers a full line of storage products across the US, Canada and beyond. 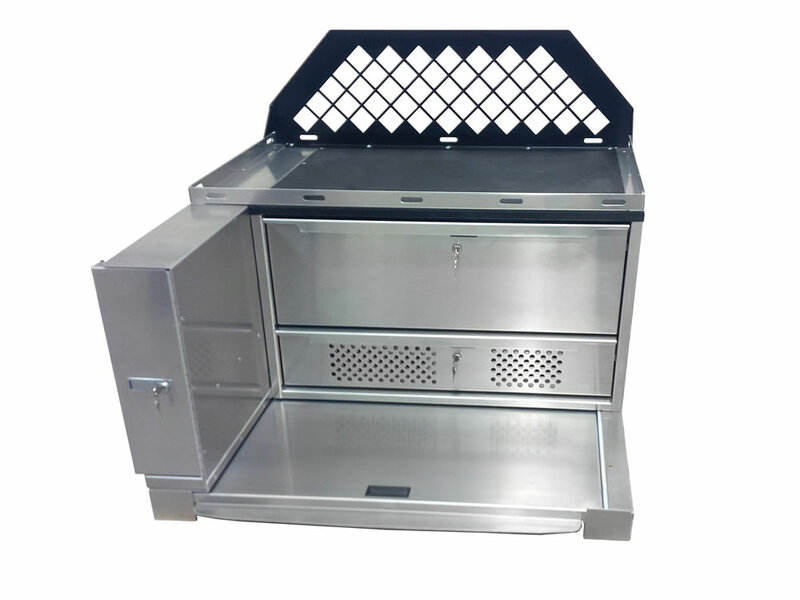 OPS Public Safety now offers their popular FIU Combo Unit with a Radio Drawer. 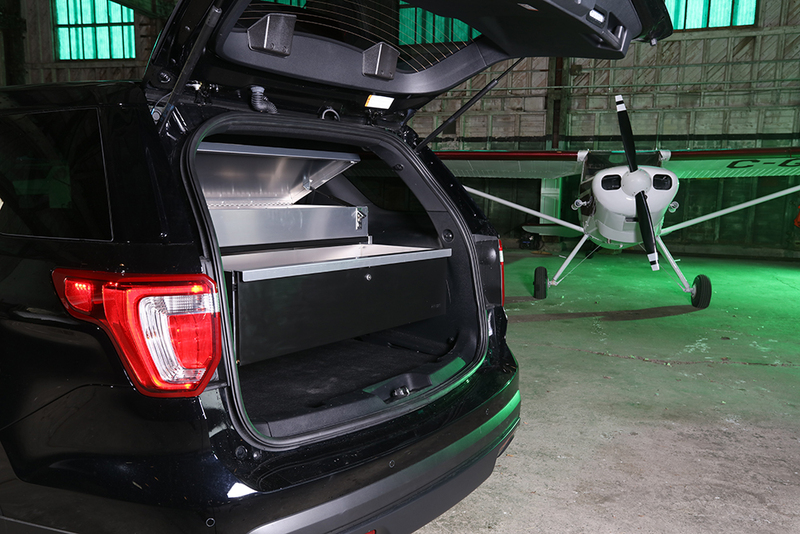 Keeping your radio equipment from overheating is very important. 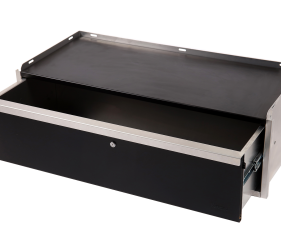 The new vented FIU Combo Radio Drawer Unit does just that by combining secure storage for weapons in the long box and gear in the top drawer plus the added convenience of keeping your communications equipment cool. 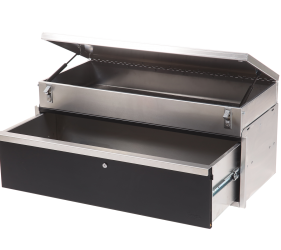 The vented drawer can also be used for damp equipment storage.